How much value do you give your social media followers as an event company? Home » Blog » How much value do you give your social media followers as an event company? The events industry is guilty, you out there! That’s right. Us too actually. Scroll through your events industry twitter feed and what do you see? Event companies continually talking about an upcoming event and sharing beautiful photos of venues set up, lighting in place, guest speakers talking. They mention all the lovely suppliers who are working. This content can be insightful and relevant to the audience that are attending that event but what about the rest of your followers? What value are you giving them? That comes down to providing helpful content. Here are our top tips for creating fun and relevant online content for your events community, whether it be video, blogs, slideshare presentations or photo’s! 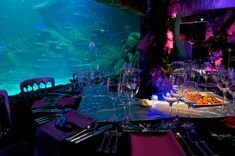 If you are a London attraction, clients may not believe that you can set up the venue in time for their awards dinner for 380 people. Provide them with a time lapse video like this one. If you are a caterer, blog about how a client can brand their food, suggest some recipes for the week or the best new restaurant to visit in London. Monitoring social media conversations is a great way to find out what people are looking for. However, all you need to do is think about how your product helps customers. If you are a production agency, your client may want to know what types of lighting an event manager needs to consider for a conference. Create a video to walk them through it. Conducting a survey on your industry can help your followers and positions you as a thought leader. 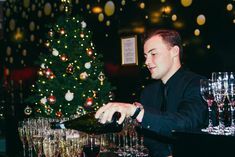 Jackson Gilmour executed this survey in partnership with Science Museum to find out the perfect equation for catering at events. Give your audience some fun content, which can be absolutely nothing to do with your product. Pepsi pulled this stunt recently which has had over 5 million views. Watch it here. Tesco asked people to tweet their funniest mother’s day cooking disasters, a comical read. However, it can be simple, Innocent Smoothies share their thought of the day on Instagram to inspire you for your day ahead. Our thought for the day? Remember to show your audience fun and relevant content!